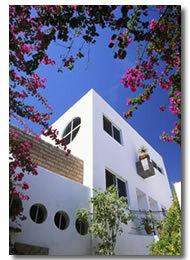 A Cabo San Lucas budget vacation is perfect if you're on a spring break or just want more money for enjoying yourself. These hotels can work out better value than cab rides from some of the Cabo San Lucas resorts into town. 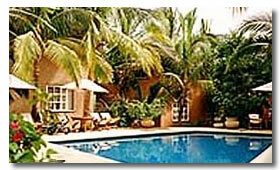 These hotel are better value as well because they are in downtown Cabo. You can be two blocks away from Cabo Wabo, and a few from the marina. You won't get all the bells and whistles you get with a Cabo resort, but you'll still have a good vacation. Another advantage with these budget hotels is you never get pestered by timeshare people while your at the hotel. The large resorts have timeshare people on site bothering you all the time. 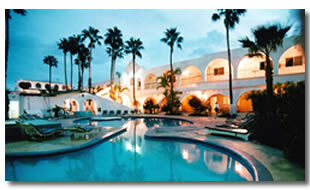 Another hotel to stay for a Cabo San Lucas budget vacation is the Hotel Mar De Cortez. 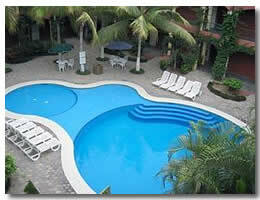 This is much larger than the other budget hotels with 90 rooms, and has a larger pool area as well. 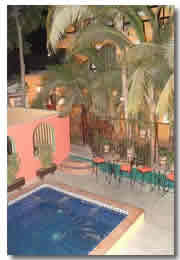 Nice basic rooms at very affordable prices, and you're in the heart of downtown Cabo San Lucas.